Gray will help improve your running efficiency, reduce your risk of injury, and motivate you to rediscover the joy of running. Since discovering a passion for the running back in 2004, Gray first trained as a personal training and then as a Chi Running coach in 2012. 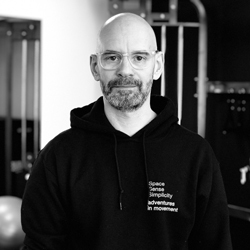 He has since also certified as an Oxygen Advantage breathing coach and teaches full-time with his company Adventures In Movement.